When I first filmed Jewish Wedding video in London, I was so tired, that on my next morning I barely could walk! But I also, was very impressed! I’m not sure if any other culture can match the same happy atmosphere like Jewish Weddings…Seriously! One other thing I like about Jewish Weddings is that they keep their traditions from the very old times. In a short: The ketubah is a Jewish prenuptial agreement that dictates the conditions the groom will provide in the marriage The bride’s protections, rights and his responsibilities to her. The next thing is that they start making their way to the bride’s room, who usually sits in a separate room with her parents and all the female friends. ceremony called Chuppah will take place. 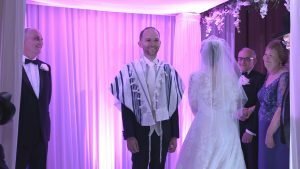 In the Jewish tradition, both of the groom’s parents walk him down the aisle to the chuppah, the beautiful altar beneath which the couple exchanges their vows. Then the bride and her parents follow. In a short: A chuppah has four corners and a covered roof to symbolize the new home they are building together. 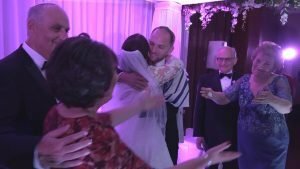 One of the most interesting parts of a Jewish Wedding Ceremony is when the Bride circles the Groom under the Chuppah, when she first steps in. Usually the bride circle the groom seven times, sometimes it’s three times. There are few reasons for that, but I will leave it for you to find out. 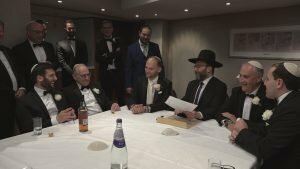 At the end of the Jewish wedding ceremony the groom stomps on a glass to brake it. 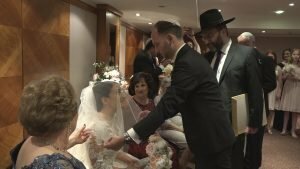 It is one of the best-known features of a Jewish weddings. In a short: This symbolise where there is rejoicing, there should be trembling. “Mazel tov!” is one of the most well-known Jewish wedding rituals. This is it! The new family born! Happy and blessed they are ready to celebrate this fabulous occasion like no one does! 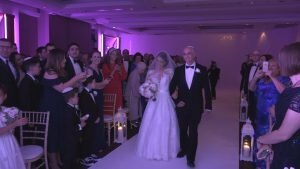 I have made this short Jewish wedding video clip to show the whole wedding day in just under 75 seconds! This is my view of a Jewish wedding, of their main traditional ceremony. I will continue to write about other cultural weddings as well, that I have filmed over the past 10 years. By the way this was filmed at Royal Garden Hotel, located in central Kensington. Beautiful and Luxury place to get married! If you looking for a Jewish Wedding Videographer with experience, then contact me now. I will be glad to talk about it. Also check out my other wedding videos and look at my wedding packages that I offer.